H.E. Abdul-Rahman Al-Otaibi Ambassador of the State of Kuwait to Japan with the Kuwaiti delegation attended ‘The 5th meeting of the Conference of the Parties serving as the Meeting of the Parties to the Cartagena Protocol on Biosafety (COP-MOP5)’ held from 11-15 October 2011 in Nagoya, Aichi Prefecture. 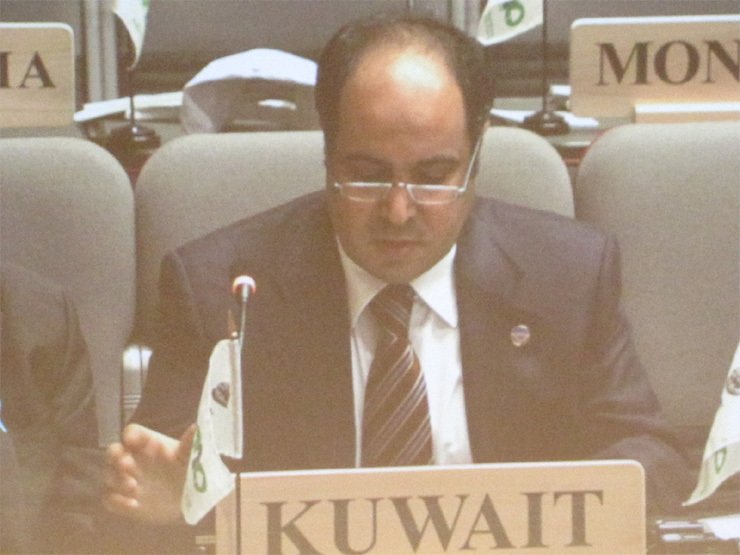 Kuwait, as an observer-state, has participated actively in the plenary events of the conference and its technical and specialized working groups and side-events, affirming the importance of Bio-diversity as an essential component of a harmonious and sustainable life on earth. Approximately 1600 participants representing parties to the Protocol and other governments, UN agencies, intergovernmental and non-governmental organizations, academia and industry attended the meeting. During the meeting, the Nagoya-Kuala Lumpur Supplementary Protocol on Liability and Redress to the Cartagena Protocol on Biosafety (the Supplementary Protocol) was adopted and 16 other decisions were hailed as an important success against the background of complex and often protracted negotiations. Besides, from 18-29 October 2010, H.E. 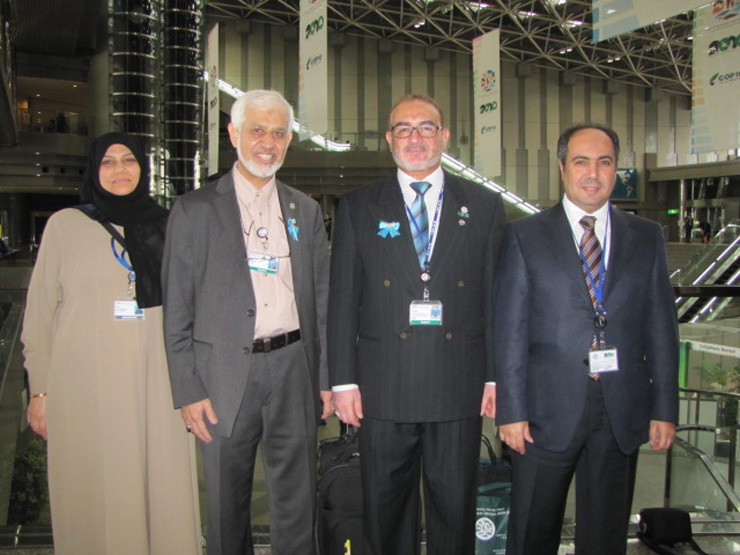 Ambassador Al-Otaibi also represented the State of Kuwait at ‘The 10th meeting of the Conference of the Parties to the Convention on Biological Diversity (CBD COP10)’ which took place in Nagoya as well. H.E., along with Heads of State and Ministers representing 193 state-members in the Conference on Bio-Diversity and over 7,000 delegates representing parties and other governments, UN agencies, intergovernmental, non-governmental, indigenous and local community (ILC) representatives, academia and industry attended the meeting. CBD COP 10 considered a series of strategic, substantive, administrative and budgetary issues, and adopted 47 decisions. And following late-night sessions, the Nagoya Protocol on ‘Access to genetic resources and the fair and equitable sharing of benefits arising out of their utilization (ABS)’ was adopted along with the CBD Strategic Plan for the period 2011-2020, making COP 10 one of the most successful meetings in the history of the Convention. H.E. the Ambassador addressed the High-Level of the COP 10 by stressing the endeavors of the State of Kuwait toward achieving the goals of the international bio-diversity strategy through biodiversity conservation programs within the government's projects as of this year. Ambassador Al-Otaibi said that Kuwait appreciates the value of biodiversity and its resources as a complementary part of the inherited Kuwaiti values, therefore, it will make efforts on observing the components of biodiversity in various habitats alongside establishing a series of natural land and marine reserves, a program for observing the coral reefs and evaluating the status of artificial reefs as well as setting up a regional program for detecting harmful mosses. H.E also asserted that the Kuwaiti government is committed to implementing a lot of vital projects as part of its commitments to CBD as an international convention of which Kuwait has signed during the UN Earth Summit in 1992 in Rio de Janeiro.